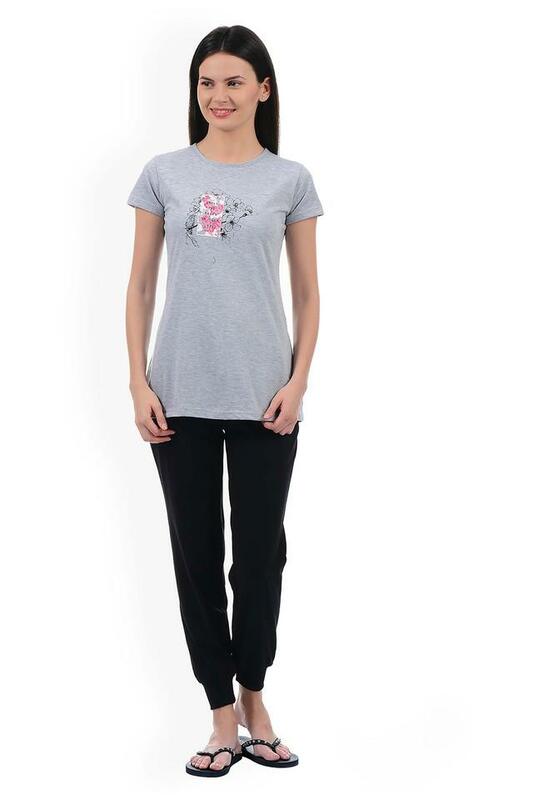 Keep your casual look simple yet stylish as you wear this t-shirt from Sweet Dreams. Made from good quality fabric, this t-shirt comes in a perfect fit and will be comfortable all day long. Featuring a round neck, short sleeves and slub pattern, this t-shirt comes with a trendy enticement. Modify your nightwear collection with this t-shirt. You can club it with the pair of capris for comfort.